I have few Best Camera Apps for Android smartphone, continue reading this post if you are one of them. The technology of Cameras on Android smartphones has advanced a lot over the years. Today, we have all sorts of camera phones in the market to meet the requirements of users. Mobile companies are working on edge in order to make their mobiles cameras reliable and to be able to sustain in all type of lighting conditions. But, you will have to shell out a good sum of money to get a decent and feature-packed camera on the smartphone. Well, getting a high-end camera smartphone is not everyone’s cup of tea. People who don’t have high tech camera device lookup for an app that can enhance their shooting/capturing experience. Fortunately, there are a couple of Best Apps for Android Camera in the Google Play Store. These apps will help you to get most out of your device’s camera and lets you edit photos as well. If you would like to have manual camera rather than an automatic one, then Camera FV-5 would be a perfect for you. The app brings a lot of DSLR features with it to your android device, just install the app, and you are all set for manual photography. There are quite a lot of useful features in Camera FV-5 such as manual shutter speed, ISO, light metering, white balance adjustments, focus shots and much more. The free version of Camera FV-5 comes with limited features and effects to choose, but you can switch to the Pro version anytime in order to unlock all the features. Camera FV-5 manages to produce cool pictures irrespective of the lighting conditions. If you are someone who would love to have variations in shooting modes, then Camera MX is here for you. The developers of this app are well active, and releases update quite frequently in Google Play Store. Camera MX fits perfect for simple shooting and stuff; you can even create GIFs with this app using the GIF mode feature. After shooting photos or videos, you can even edit them using the built-in editor of Camera MX. It’s a perfect app for beginners, and intermediate level of shooting, the free version of Camera MX would be more than enough for starters. 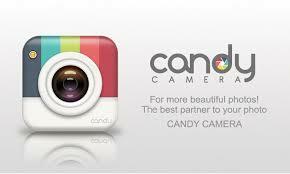 Candy Camera is specifically known for shooting selfies and make over stuff. Like other camera apps, there are plenty of filters and effects to choose from for your selfies in Candy Camera. However, makeup tool is something that sets Candy Camera apart from the crowd. You can easily make your selfies even more glorious using the makeup tools. Other than that, it features Collage mode which you can use to combine multiple photos into one. The UI is also quite simple and easy to understand, all the selfie fans out there, do give it a try for sure! Cymera is one of the popular and best apps for android camera in Google Play Store. The app basically focuses on add-on features such as Stickers, filters, effects and much more. Cymera comes with beauty mode shooting that removes all the dark patches and circles during editing. Apart from that, you can use the photo editor for minor correction and face improvements in your photos. In a way, Cymera is more like a makeup app but still meets the camera shooting requirements. It’s available in Google Play Store for free of cost. 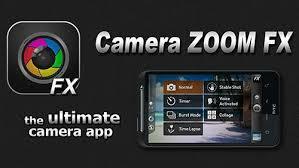 Camera Zoom FX is a reliable professional level camera app for Android devices. The app comes packed with features such as fast shoot and capture; continuous shoos with no delays, time-lapse mode, and HDR mode as well. It brings some other hardware features as well; one such example is you can assign any physical key like Power or volume button to carry out a specific camera related task. The premium version of Camera Zoom FX is worth getting due to its incredible user interface and features. If you are looking for something on the go professional photography, then DSLR camera would be a perfect fit for your need. 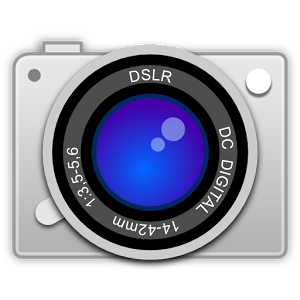 Developed and published by Greeky Developers, DSLR Camera packs a powerful list of features. Despite being a heavy feature-rich app, DSLR camera still manages to run perfectly fine on low-end devices as well and consumes much fewer resources compared to other camera apps. There are quite a lot of professional tools and features such as two-stage shutter, movable viewfinder, light adjustments, live histogram, etc. Unlike other apps, there is no free version of this app, the only way to try out this app is by purchasing the premium version. Vignette is another cool and one of the best apps for Android Camera out there. 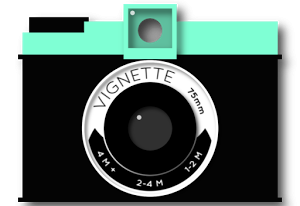 The Vignette is known for post-processing feature. The app corrects all the detailing and makes necessary improvements that your camera lacks. Just like any other camera app, Vignette also features basic editing tools such as time lapse, HDR, photo booth, Zoom enhancements, touch to focus and capture, etc. It includes over 70 filters and frames that can be applied to any of your photos within seconds. Go ahead and give it a shot, I’m sure you won’t be disappointed. 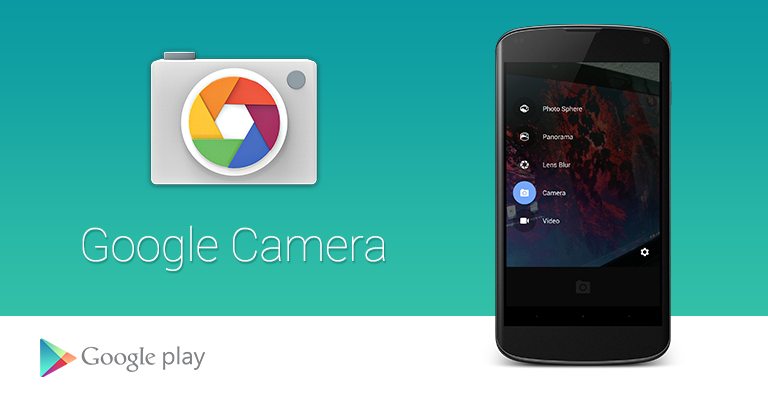 Google Camera is also worth mentioning on this list of Best apps for android camera. It’s a simplistic app with some powerful and cool features that many camera apps don’t usually offer. You can quickly use the app to take snaps within seconds without any shakiness or disturbed detailings. Features like Lens Blur, photosphere, wide-angle shots, panoramas shots, etc. are some of the best-known functionalities of Google Camera. The app comes with pre-installed on Google Camera on nexus and pixel devices, but it can be downloaded from Google Play Store on other Android devices. Those are the best Android Camera apps that can enhance the performance capabilities of any Android smartphone. Now you can capture photos by applying live effects, live filters, etc. Share this list with your friends online, thank you. Help us mention any other best app for Android camera if not listed above.